Integrated solutions from Siemplify and McAfee deliver enhanced security capabilities to simplify threat defense lifecycle for enterprises and MSSPs. 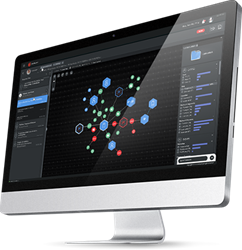 Users can now investigate, triage and remediate security events faster and more efficiently, all from a single console. As a member of the McAfee Security Innovation Alliance, Siemplify plays a critical role in the program’s mission to accelerate the development of interoperable security products and to simplify the integration of these products within complex customer environments, bringing better value and more protection against the growing threat landscape to joint customers. Through this partnership, Siemplify and McAfee address a rising industry need to shorten response times from security events and more easily remediate compromised systems.